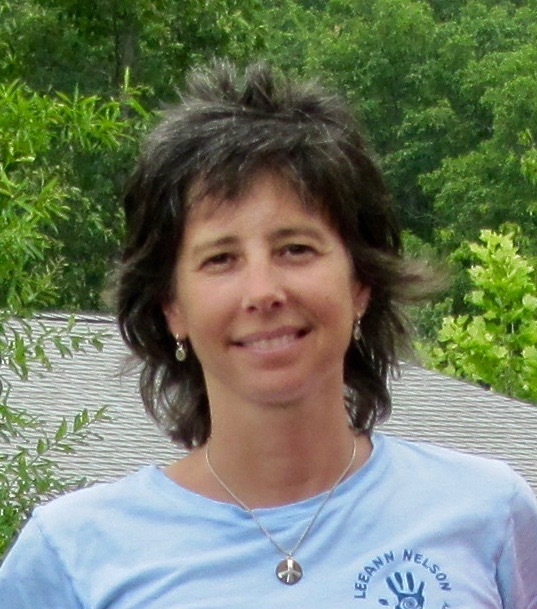 LeeAnn has been a physical therapist for 27 years and has practiced in out patient facilities, rehab hospitals, nursing homes and home care settings. She has owned her own practice since 2002. Following a month long yoga teacher training in 2001, she realized that she could no longer practice in large, nationally owned practices that did not prioritize quality, one on one time with patients. Her experience in these facilities was that it was about volume and not quality and continuity of care. She briefly contemplated leaving the profession because she could not find a practice in the region devoted to providing quality time to each patient. Fortunately, she had a classmate who had opened his own practice in Harford County MD the year before and was providing the kind of care that LeeAnn had been envisioning. This example was all that she needed and LeeAnn Nelson Physical Therapy was started in 2002, expanding from a 2500 sq ft facility to a now 5600 sq ft facility in 2004. LeeAnn has become accomplished in providing manual therapy utilizing osteopathic techniques including muscle energy technique, cranial sacral therapy, visceral manipulation, and myofascial release. Her treatment emphasis is on structural alignment, balance, integrity of the body and tapping in to our body’s inherent ability to heal. She especially enjoys working with patients with spine issues, multiple medical challenges and headaches. She is also a certified Melt Method teacher and Yoga teacher. She utilizes this varied background to establish a comprehensive, effective treatment plan for her patients. Outside of work, LeeAnn has two daughters 21 and 19 and enjoys spending time outdoors running, kayaking, stand up paddling, rollerblading, cycling and golfing. Treatment emphasis is in development of a yoga based exercise program. Dietary recommendations will also be given for optimal health and wellness.